Have you been considering a treatment or product in the SHAW Center Spa? Now’s the perfect time with our Exclusively You Event, the event you’ve been waiting for! Here’s your chance to save 10% on absolutely EVERYTHING in the SHAW Center Spa. Yes this includes Botox®, Dysport®, Juvederm®, Voluma™, IPL/Fotofacial, CoolSculpting®, Laser Hair Removal, Facials, Chemical Peels, Rejuvenating Treatments and MORE! This special event will be held from July 22-24, all day, all services, all products in the SHAW Center Spa. Call now to reserve your discounted medical aesthetic and spa services at (480) 767-1900. Also enter to WIN a free Latisse® and Rejuvenating Skin treatments. Treat yourself and bring a friend, we can’t wait to meet them. 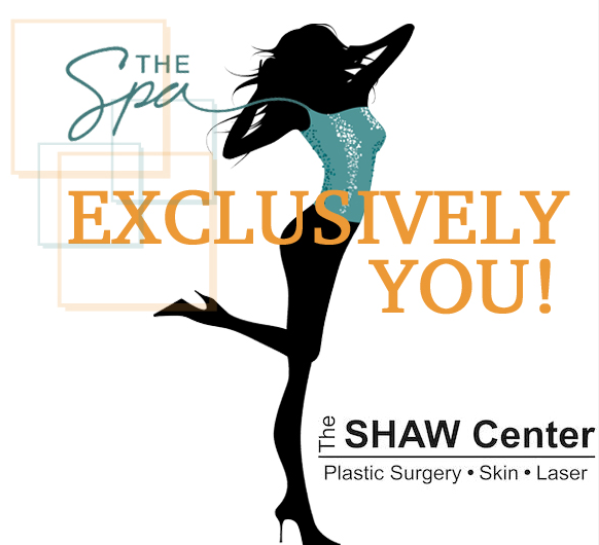 The SHAW Center spa offers a broad range of services such as Botox, Dysport, Juvederm, Belotero, Restylane, Radiesse, Sculptra, Laser Hair Removal, Fotofacial, Facials & Peels, Microdermabrasion, Laser Resurfacing, Latisse, Lash & Brow tint and Hair Waxing. The majority of the services have no downtime and minimal discomfort. To see a full list of medical spa services offered, visit the SHAW Center’s website.